You can discover deeper insights by building your own rich, guided analytics applications with a flexible, business-ready solution. Create business-driven data discoveries with guided analysis that are highly customisable and tightly governed. Beautifully presented, controlled analytic experiences guide employees toward new insights and making meaningful decisions. 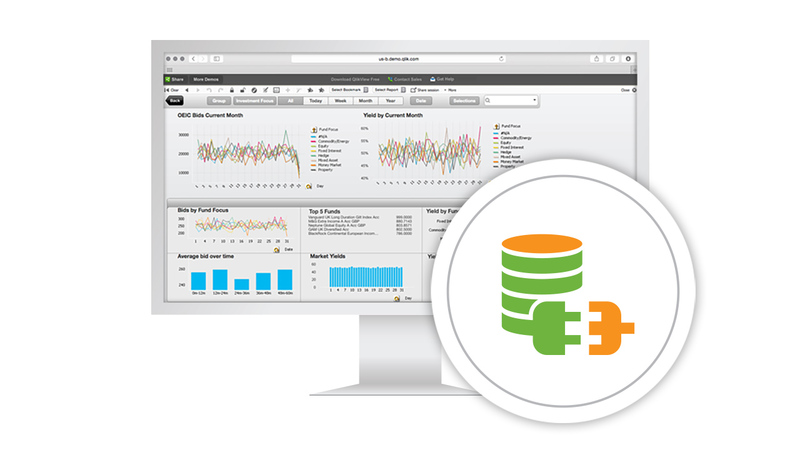 Top-down control of analytics applications, permissions and data management. Build the tools you need for your organisation and teams. 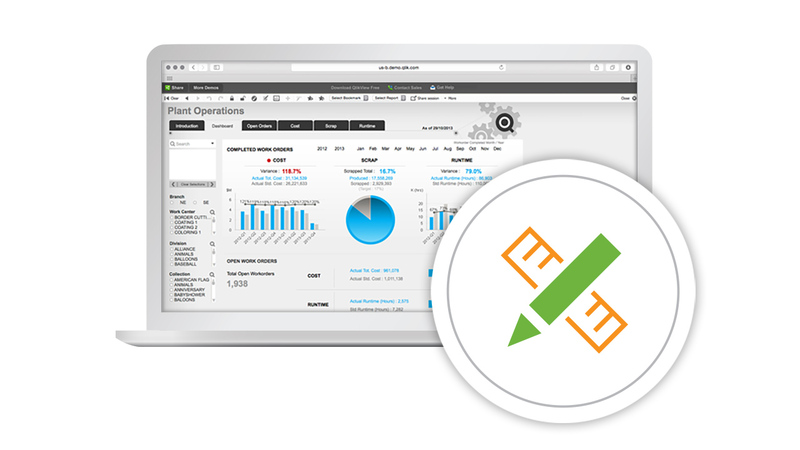 Develop custom applications with QlikView scripting and extend development with QlikView Workbench. Integrate QlikView into your business applications and system management software with a set of extensive APIs. Use natural search to navigate complex information to accelerate your discovery. Unify data sources for a complete view of information, centrally managed data and applications make it easier to discover insights. Create and distribute consistent reports and templates and embed them in Microsoft Office documents using Qlik® NPrinting. The advantages of guided analytics with secure, enterprise-level governance of data and analytic. 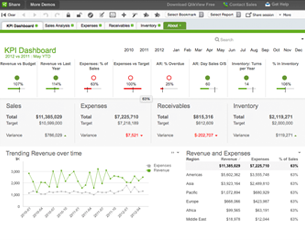 Explore an interactive QlikView application. 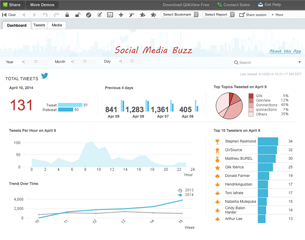 In this demo, you see what people were tweeting about, can follow hashtags and sentiments and find the top tweeters during Qonnections 2014. See how QlikView helps analyse data related to clinical pathways in several key areas in this interactive dashboard. To find out more about QlikView and how simple it is to use, take the free trail or find out about our QlikView Fast Track Workshop by contacting us.